Soil type is determined by the proportions of sand, silt and clay in the soil. When you hear the term texture in regards to soil, it means the size of the soil particles. When you hold the soil in your hand, you can feel its texture and examine its particle size to roughly estimate the soil type. These characteristics along with a few others define soil types. Sand soil types have a gritty, coarse texture. Its particles are visible to the eyes, making it the largest particles of all the soil classes. Sandy soils drain quickly and warm up easily. Since it drains so quickly, it doesn't hold onto moisture so it holds some challenge when planting it. You may need to fertilize the soil more often and water it more often to keep it hydrated and to add back in nutrients. Silt has a finer, smoother texture than sand, but still has a gritty feel. It becomes slippery when wet. If you squeeze a ball of silt soil in your hand, it doesn't break, but changes shape easily. Silt's particles are tiny and only visible with a microscope. Silt is a healthy soil for farming, but it erodes easily. Clay becomes sticky and clumpy when wet. It also has fine particles, only visible with a microscope. 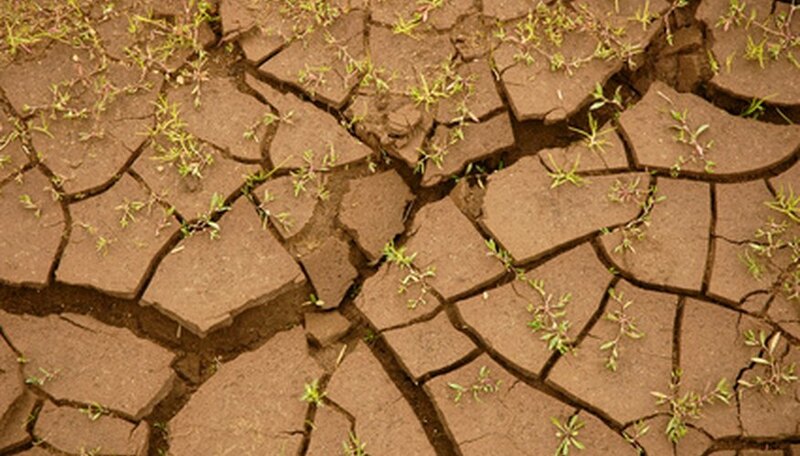 Clay soil tends to have poor drainage and it's slow to warm up. It's difficult to plant in clay soil since it hardens to a consistency nearly as hard as concrete. Plants have a hard time establishing their roots in the compacted soil. While it's hard and clumpy, it also contains a high amount of nutrients. Loam is considered the perfect soil, the most workable type. It's a combination of all the soil types, but usually has about half and half sand and silt with a little bit of clay soil mixed in. Sometimes it's described by adding on one of the other classifications, such as "clay loam" or "sandy loam." It has enough large and small particles so both air and water can easily flow through it. Plants grow easily in this type of soil.